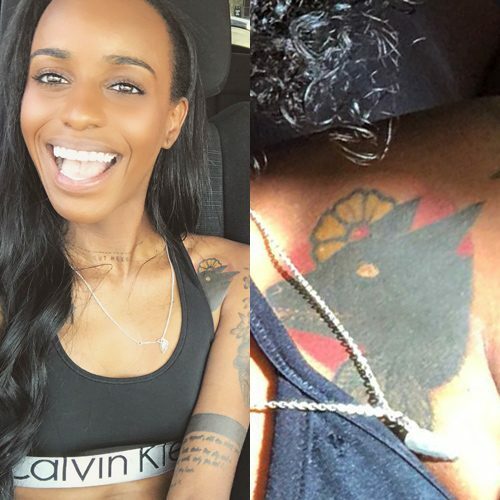 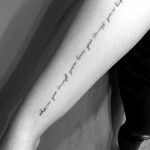 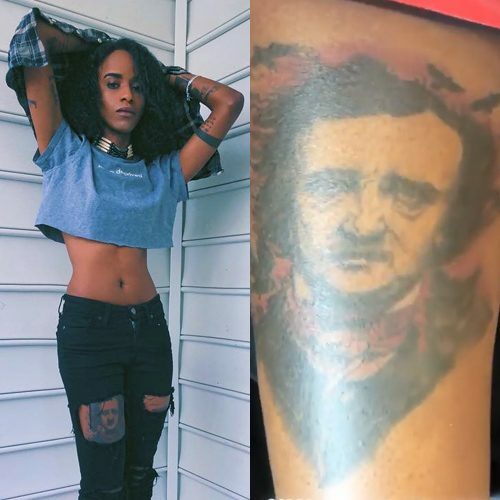 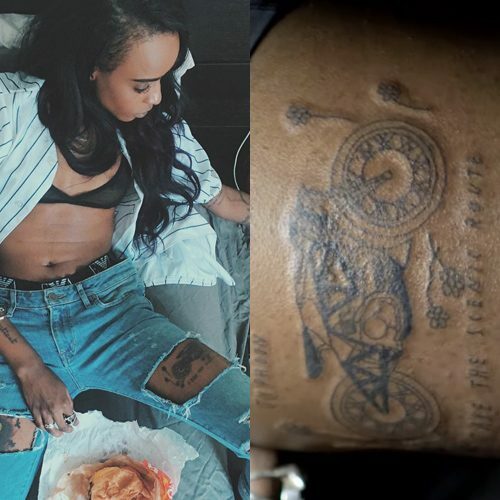 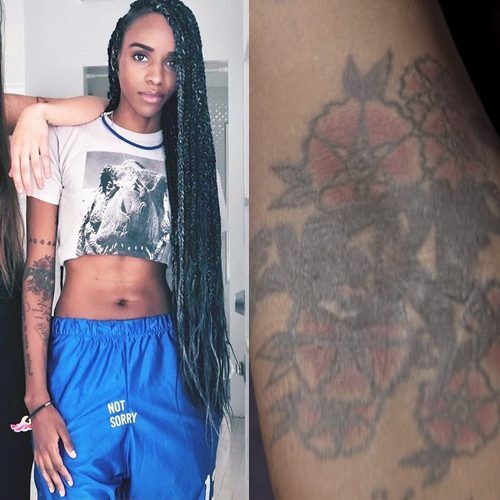 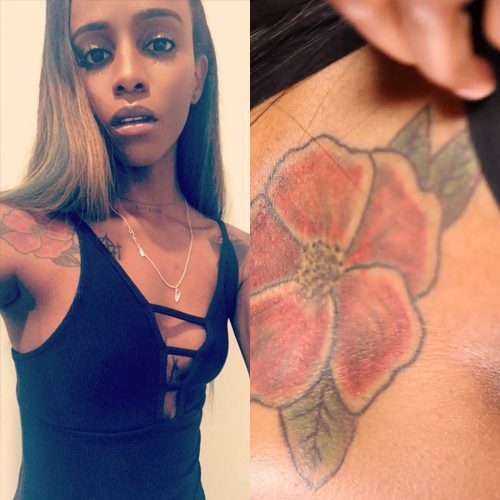 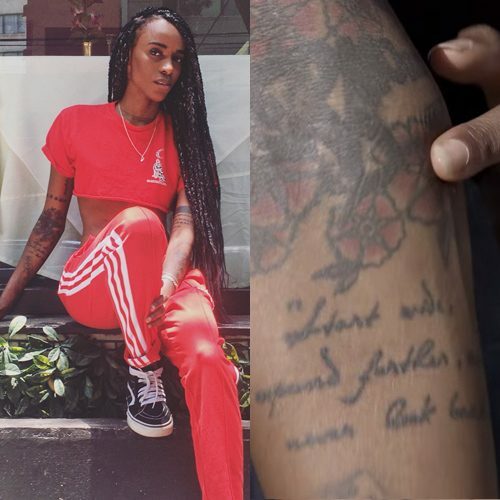 Angel Haze has a tattoo message on her left forearm reading “Start wide, expand farther, and never look back”. 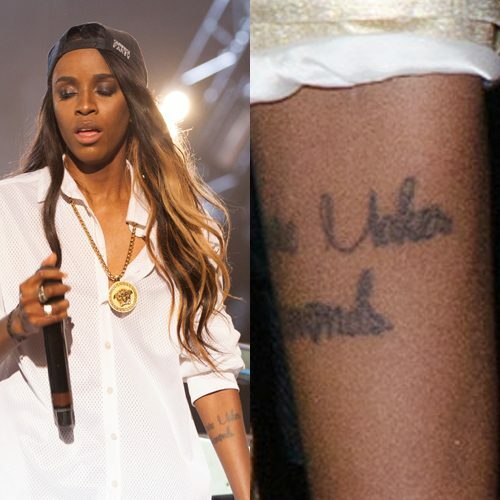 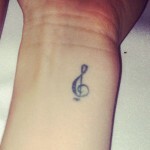 Angel Haze has has a message on her left forearm reading “Pressure Makes Diamonds”. 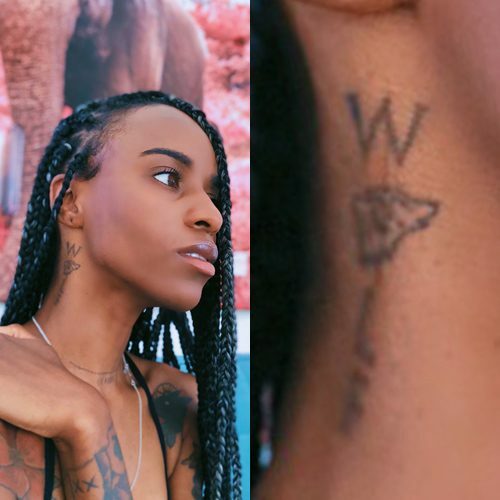 Angel Haze has Tsalagi language writing on both arms.